Five Dock Chartered Accountants Sydney provides you expertise in Capital Gains Tax liability and exemption. Capital gains arise where a 'CGT event' occurs after 19 September 1985 and the capital amount received exceeds the total costs. 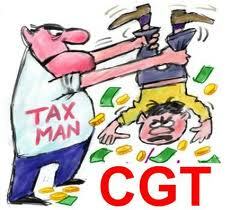 We help determining whether a CGT applies and how to plan your tax affairs. Has a CGT event happened? Did the CGT event involve a CGT asset or was there a capital receipt? Does an exception, exemption or concession apply to the CGT event? Has a capital gain or capital loss been made from the CGT event? Is rollover relief available to the taxpayer to defer the capital gain? To review your Capital Gans Tax make an appointment, email or SMS.